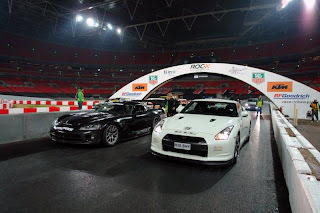 A1GP driver Fairuz Fauzy in his 600bhp modified Ultimate Silver R35 GT-R and myself in White R 600bhp headed down. 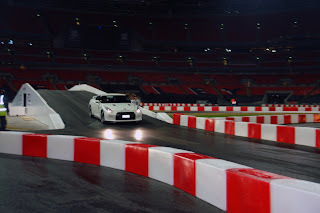 Very tight track, but great fun !!!! Times and details little hush as it was all covered by Redline magazine who wants exclusivety, tho i did hear from one of the guys Fairuz beat the Viper time. 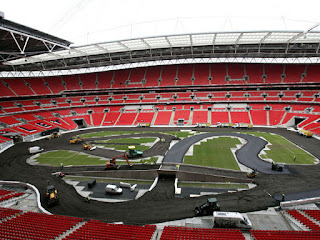 From Wikipedia : The Race of Champions is an international motorsport event held at the end of each year, featuring some of the world's best racing and rally drivers. 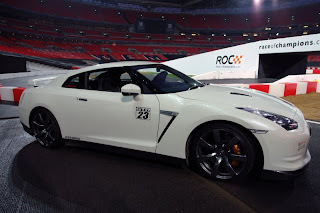 It is the only competition in the world where stars from Formula One, World Rally Championship, NASCAR, Le Mans and touring cars compete against each other, going head-to-head in identical cars. Source GTR.co.uk More pictures after the jump. Team USA this year is Carl Edwards and Tanner Foust. Go Tanner. Travis Pastrana was scheduled to drive for Team USA, but the week before race, he broke his hip.